Watts, an activist against gun violence, said three girls were inspected for their clothing. Watts added that one girl appeared to be 10 years old, wearing gray leggings for a flight from Denver to Minneapolis. 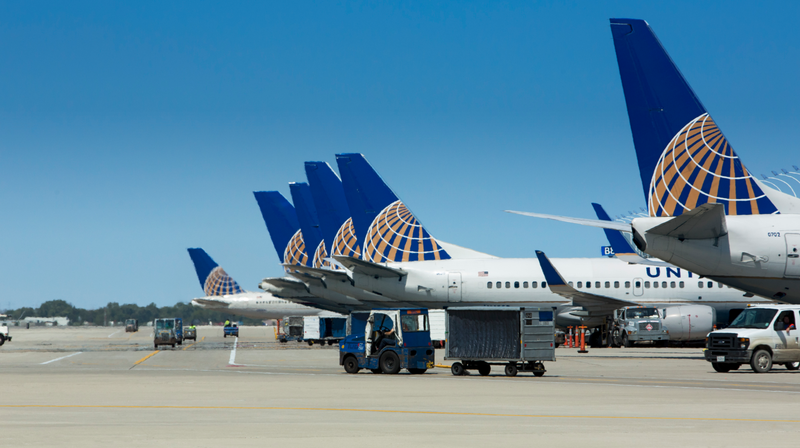 The United contract does not define what it means for a passenger to be “not properly clothed,” and the New York Daily News pointed out that United used a photo of a woman in yoga pants in a promotional tweet in June 2016. Jalopnik has reached out to United for comment, and will update this post when we hear back. “We care about the way we present ourselves to you, our customers, as we believe that is part of the experience on board our flights. One of the benefits of working for an airline is that our employees are able to travel the world. Even better, they can extend this privilege to a select number of what we call ‘pass riders.’ These are relatives or friends who also receive the benefit of free or heavily discounted air travel—on our airline as well as on airlines around the world where we have mutual agreements in place for employees and pass riders. “When taking advantage of this benefit, all employees and pass riders are considered representatives of United. And like most companies, we have a dress code that we ask employees and pass riders to follow. The passengers this morning were United pass riders and not in compliance with our dress code for company benefit travel. We regularly remind our employees that when they place a family member or friend on a flight for free as a standby passenger, they need to follow our dress code.